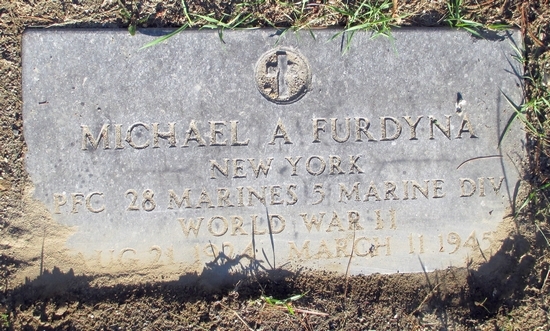 Michael A. Furdyna, son of Mr. and Mrs. Andrew Furdyna, was born in the South End of Troy, New York on August 21, 1924. 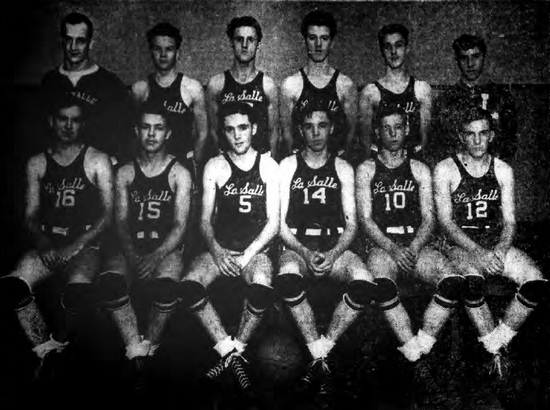 A star athlete at La Salle Institute, playing baseball, basketball and football, he also played with St. Michael's CYO championship baseball team in 1943 and with the Kenney A.A. team. 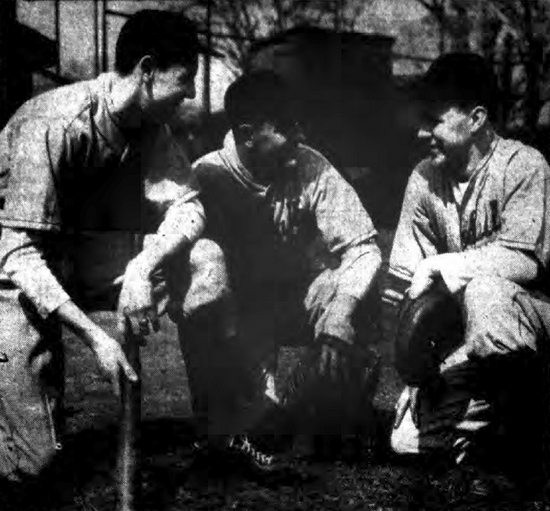 The young catcher had received an offer from the Brooklyn Dodgers to appear for spring training after graduating in 1943. After enlisting with the Marines in September 1943, the Dodgers told him that the offer would remain good upon his return from military service. Furdyna was stationed at Parris Island, South Carolina, Camp Lejeuene, North Carolina and Camp Pendleton, California, before being sent to Hawaii. Serving as a Private First-Class with the 28th Marines, 5th Marine Division, Furdyna was at Iwo Jima, from where his parents received a letter from him on March 10, 1945, stating that he'd been on the island for eight days. The following day, March 11, 1945, Mike Furdyna died of wounds received on Iwo Jima. He is buried at Saint Josephs Cemetery in Troy, New York. "Troy Area sport fans will miss Mike Furdyna of the South End who was killed in action with the Marines March 11 on Iwo Jima," the Troy Times Record noted on April 7, 1945. "Mike was one of the most promising schoolboy athletes in this neck of the woods in recent years and we always felt he would go far in baseball...We believe Mike eventually would have made good in big time baseball for he had the ability and the determination. The Troy Area has lost a good citizen and a fine athlete." And finds the time long since you went. But try to be brave and content. Though all the world forget. In a distant land to die. Thanks to Astrid van Erp for help with a photo for this biography.